When Bharatiya Janata Party (BJP) MLA Gyandev Ahuja is not busy counting condoms in 'anti-national' universities (read JNU), he is engaged in pumping black money in white causes. 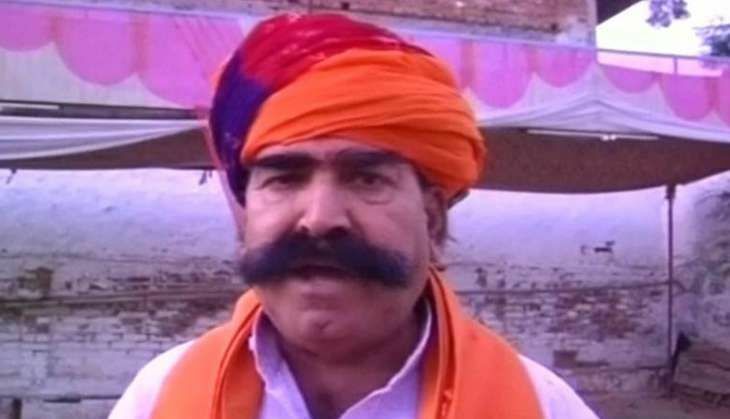 Ahuja, who represents Ramgarh in Rajasthan's legislative assembly, told journalists in Alwar on 4 June that politicians are offered black money all the time; but when he receives such cash, he doesn't use it personally. "Whenever someone offers it to me, I ask them to spend it on some good cause, like on the upkeep of temples and gurdwaras", he said. Ahuja also takes great care to ensure that the 'black money' thus received is not entirely unaccounted for, lo and behold, by giving receipts. "I also give them a receipt. Some people ask me, why a receipt if it is illegitimate money. I say they have spent it on a good cause, so what is the harm in giving them a receipt," Ahuja explained. The MLA's declarations are bound to come as a shocker for the party. However, his candid admissions take his party's honesty about its relationship with black money a notch higher. BJP President Amit Shah earlier said its electoral promise of bring back black money from foreign banks was just a 'jumla', or a gimmick. Now one of his party's MLAs has gone a step ahead and conveyed to the nation that the party actually participates in the proliferation of black money. With receipts, of course. The beauty of Ahuja's remarks don't just end there. Whenever BJP decides to take note of his revelations, it will not be happy to find out that not only does he deal in unaccounted incomes, he actively dissuades people from contributing such money to the party's coffers. "People who offer it ask whether they should donate it to the party, but I tell them the party has enough funds," Ahuja said. As reports of Ahuja's remarks spread, the issue started trending on twitter with the hash-tag #राष्ट्रवादी_कालाधन, or 'nationalist black money'. Twitterati used the hash-tag to connect the issue to slam BJP on many fronts, from corruption to inflation and from agrarian distress to Prime Minister Narendra Modi's foreign trips. A look at Ahuja's assets, as declared in his electoral affidavit in 2013, suggests that he may not have been able to resist the lure of one of the most common avenues of black money, real estate. Ahuja owns four residential properties in Jaipur and Alwar - a flat in Alwar, two flats in Jaipur jointly owned with his wife and a plot in Jaipur. 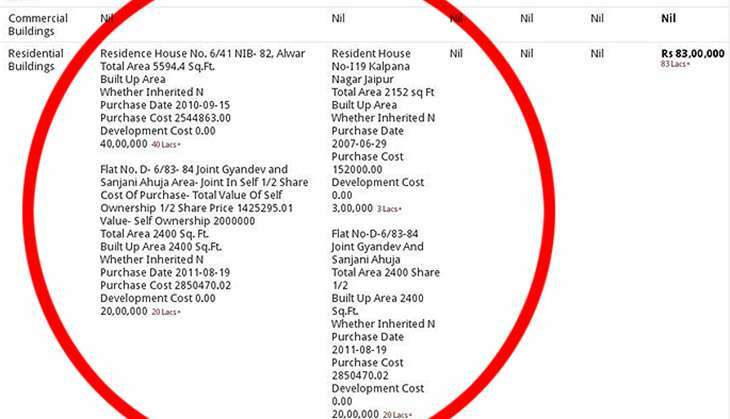 He claims the expansive flat in Alwar, spanning 5,594.4 square feet costs only Rs 40 lakh. The two flats in Jaipur with a total area of 2,400 square feet are too claimed to be worth only Rs 40 lakh. Most surprising is the claimed value of the Jaipur plot, which spread across 2,152 square feet, is said to be worth a paltry Rs 3 lakh. It will be unfair, in a sense, to single out Ahuja for undervaluing his immovable assets because thousands of legislators across the country, including parliamentarians, are guilty of it. However, since the leader has shown such great transparency in admitting he deals in black money, (with receipts, mind you), it is not entirely unfair to expect him to be transparent about his assets. We now know Ahuja is on a mission to prove his assertions that 2,000 bottles of liquor, 10,000 cigarette butts, 4,000 beedis, 50,000 pieces of bones, 2,000 wrappers of chips and 3,000 used condoms are found daily on the JNU campus. It will be wonderful if he could also count and disclose the amount of black money he has issued receipts for during his tenure as MLA.